When an American trophy hunter killed a beloved lion known as Cecil in 2015, the backlash was swift, but his death may now lead to changes that will protect others like him. Walter Palmer, a Minnesota dentist, had paid $50,000 for the chance to kill Cecil, one of Zimbabwe’s most beloved and recognizable lions. Cecil was lured with bait placed just outside of Hwange National Park, shot with an arrow and was left to suffer for hours before his killers returned to finish him off. As tragic as his death, and the circumstances surrounding it, was, the sad reality is that he is hardly alone and imperiled species continue to be put at risk by poaching and trophy hunting. Cecil’s own son, Xanda, met a similar fate just two years later. “The CECIL Act is a sharp and necessary rebuke to the Trump Administration’s pro-trophy hunting agenda. It strengthens the trophy import permit process made murky by recent policy changes, and it restores transparency,” said Angela Grimes, acting CEO of Born Free USA. This legislation would protect wildlife from trophy hunting in a few different ways; It will amend the Endangered Species Act (ESA) to ban the unpermitted take or trade of species proposed for listing, which would mean they’re treated like they already have protection, and it would increase transparency by requiring the U.S. Fish and Wildlife Service to publish permit import applications and hold a public comment period before issuing permit. It would also ban imports of elephant or lion trophies from Tanzania, Zimbabwe or Zambia, where both of these species have experienced severe population declines. Lastly, it directs the Government Accountability Office to determine whether or not trophy hunting in foreign countries contributes to wildlife conservation, and recommends reforms for the industry, and will shut down the International Wildlife Conservation Council, a forum created by the Trump administration to promote international trophy hunting. Hopefully enough public support will get this much-needed bill passed, and protect imperiled species from being killed for nothing more than sport and trophies. 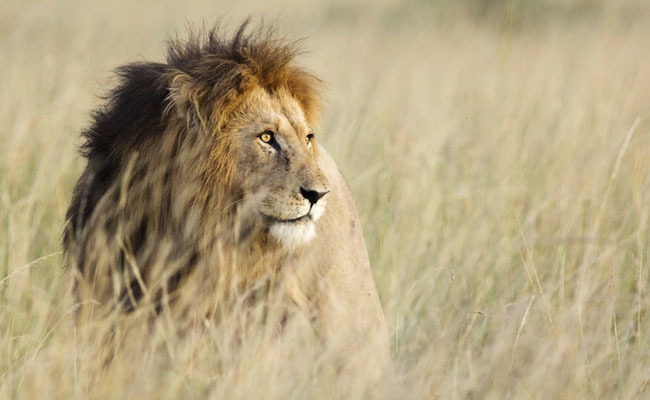 You can help by signing and sharing the petition urging Congress to protect imperiled species from trophy hunters by passing the CECIL Act. It's shameful that neither of the 2 hunters and their guides was prosecuted. Not with fines, because they have enough money but with JAIL sentences. Trophy hunting will never stop, especially NOT as long as Herr Strumpf is POS. Of course, we can't do anything on the spot, but banning export from African countries and import into the U.S.A. is feasible. No parts of an endangered animal should enter any country, not in the U.S., not in China, not in Arabian Countries or Europe, nowhere... Dogs can help us in a tremendous way to find these animal parts. If they can sniff drugs wrapped in alu paper, plastic, etc.. they will find the animal parts as well. More border controls!!. Maybe the parts are carried overseas on cruise ships, then into remote countries by small fisher boats or yachts. These people are very keen on finding ways to get their "artifacts". What I was just thinking of, is that a World Organisation could fine countries where the animals were killed. This will oblige them to employ more personnel to supervise the borders of territories of animals, as well as their export facilities. When they will have to pay heavy fines, they will make more efforts to protect their only richness, their wildlife animals. These (mostly) African countries must understand that they will increase the income of their people with tourism, and not with trophy hunting. When I saw the photo of Cecil, that magnificent lion lying lifeless in front of that horrendous human beast that killed him, I was beyond shocked !!!!!!! It makes me sick to know that there are still people who enjoy " the thrill of the hunt " aka, killing for fun. And, must I add, that the " hunter " showed no respect for the country he vacationed in. Regardless of whether they are endangered or not, NO animal deserves to be killed, ALL deserve permanent protection! . . . A world without animals would be unthinkable . . . A world without the lowlife scum that instigate, encourage, condone, promote, support, participate, spectate and profit in the exploitation, discrimination, persecution, suffering, harming, hunting and murder of animals would be bliss!